If you pop your Wubble accidentally, just follow these simple instructions! 1. Have an adult use scissors to cut off the word "Wubble" from the area around the valve. 2. 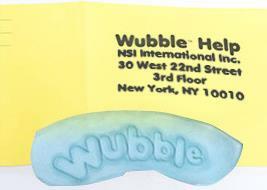 Place the cut-out word "Wubble" AND a check for $6.99 made out to “NSI INTERNATIONAL, INC” in the pre-addressed envelope provided with your Wubble (you can also use a regular envelope if you’re missing the yellow envelope). Once we receive the above we will send you out a new Wubble right away. *PLEASE BE ADVISED THAT THE US POSTAL SERVICE HAS BEEN HOLDING WARRANTY ENVELOPES FROM 3 WEEKS TO 6 WEEKS BEFORE ACTUALLY DELIVERING THEM TO US. THIS IS PROHIBITING US FROM FULFILLING YOUR WARRANTY REPLACEMENT ORDERS ON A TIMELY BASIS. ONCE WE RECEIVE YOUR ENVELOPE, WE WILL PROCESS AS QUICKLY AS POSSIBLE. *UNFORTUNATELY, WE ARE CURRENTLY UNABLE TO OFFER YOU A CHOICE OF WUBBLE COLORS. WE CAN ONLY SHIP THE COLOR THAT IS AVAILABLE AT THE TIME YOUR ORDER IS PROCESSED. WE APOLOGIZE FOR THE INCONVENIENCE. For all other product issues, please contact customer service by email at help@wubbleball.com or call us at 888-425-9113. Please note that our customer service hours are from 9:00am to 5:00pm EST Monday through Friday. For a quicker response, email is best. 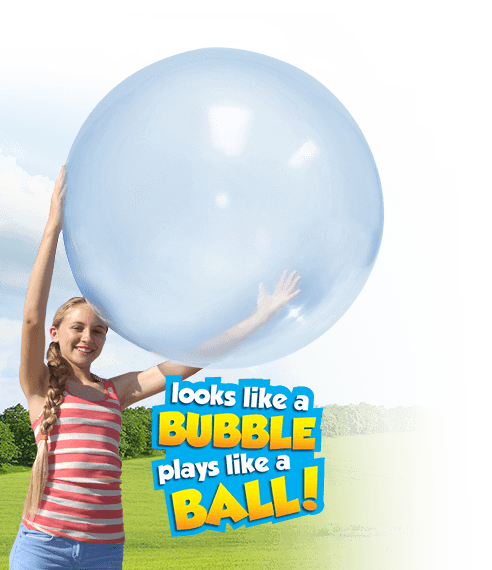 Offer Details: $6.99 processing and handling for Wubble Guarantee Replacement. If paying by check, mail check in with return envelope made payable to "NSI International."